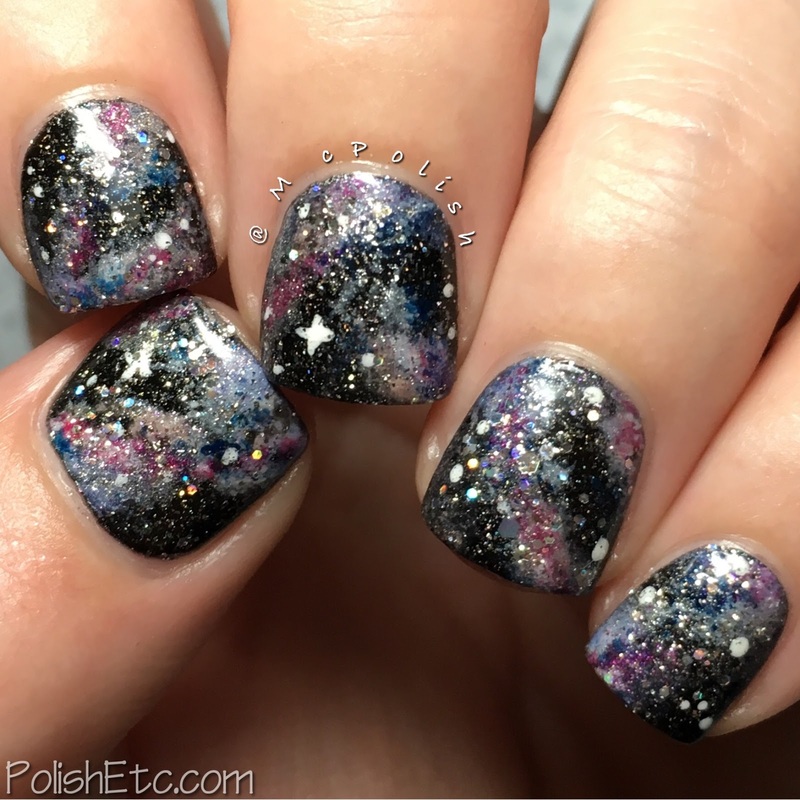 Galaxy Nails for the #31DC2016Weekly - Polish Etc. This week's prompt is a fun one! I always like doing galaxy nails. It is really difficult to mess them up and you can try so many color combinations. I always say "this year I am going to do pastel/neon/colored galaxy nails" and then just do traditional galaxy nails in the end. I am infatuated with space and photos of far away worlds, so the traditional galaxy designs are always my favorite. This year, I decided to use all Zoya colors! 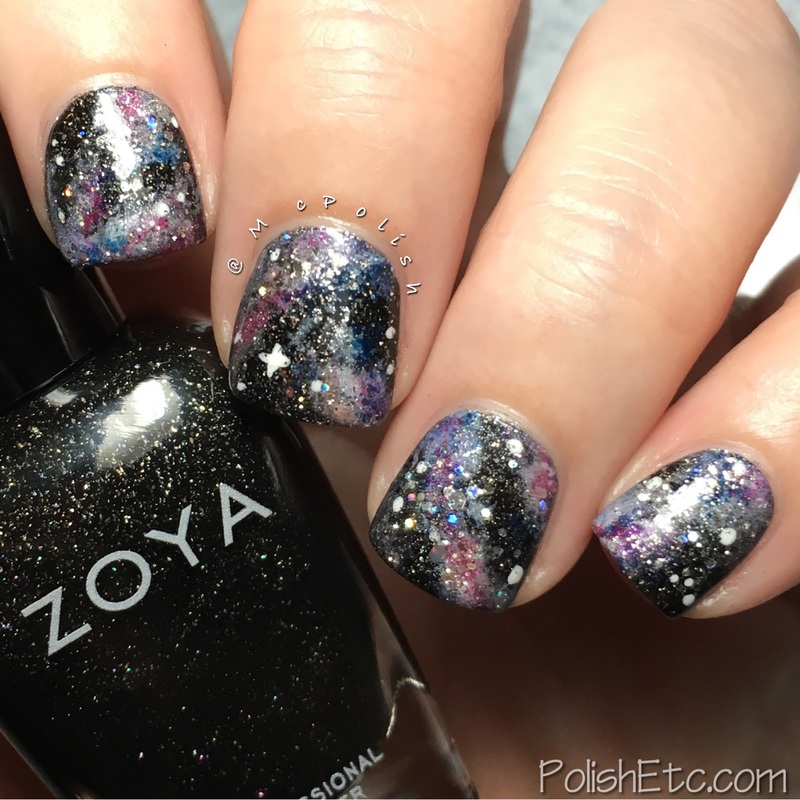 Zoya makes the most perfect galaxy nails base color, Storm. Storm is my most used Zoya nail polish for sure. It is black and sparkly and magical on the nails. When in doubt, Storm out! Once my base of Storm was down, I used multiple colors of pink and white and blue to sponge one random blobs. The colors I used: Genesis, Timo, Zarhara, Aster, Seraphina, Michelle. Lastly, I used a small brush and dotting tool to make stars using Purity and then lightly sponged on Cosmo for some holographic glitter effects. This are not my favortie galaxy nails I have ever done but I still really liked the way they turned out. Do you like them? 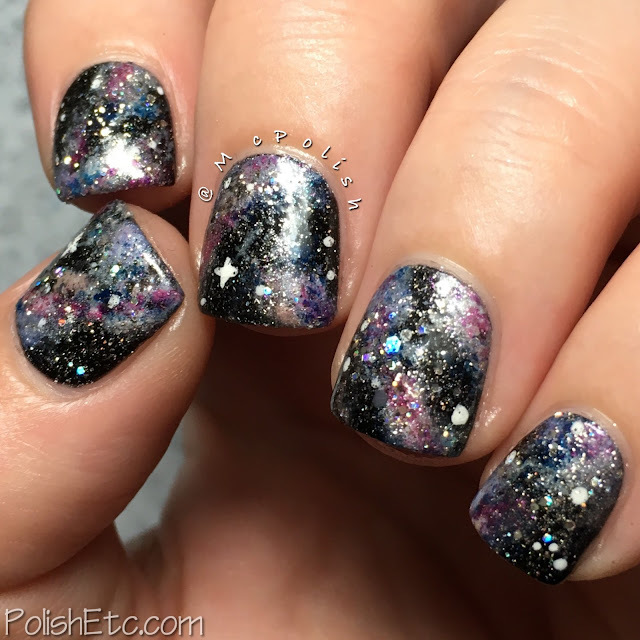 Have you tried galaxy nails before? They are way fun. 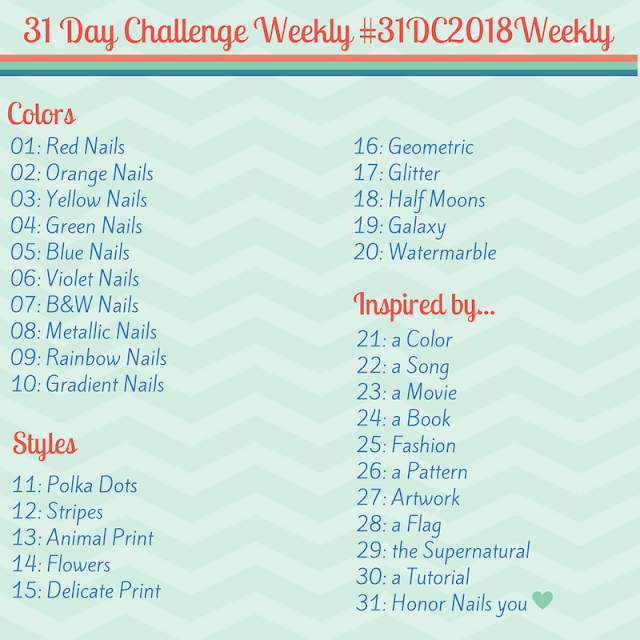 If you want to check out more galaxy looks, browse through the #31DC2016Weekly tag on Instagram, Twitter and Facebook. See you next week with Watermarble nails! I love them! :) I always say I'll do Galaxy Nails next, but never do... They are so beautiful!